The race starts from one of yachting’s most famous locations: The Royal Yacht Squadron (The Squadron), Cowes on the Isle of Wight on Saturday 3rd August 2019. Start sequence and times to be confirmed. 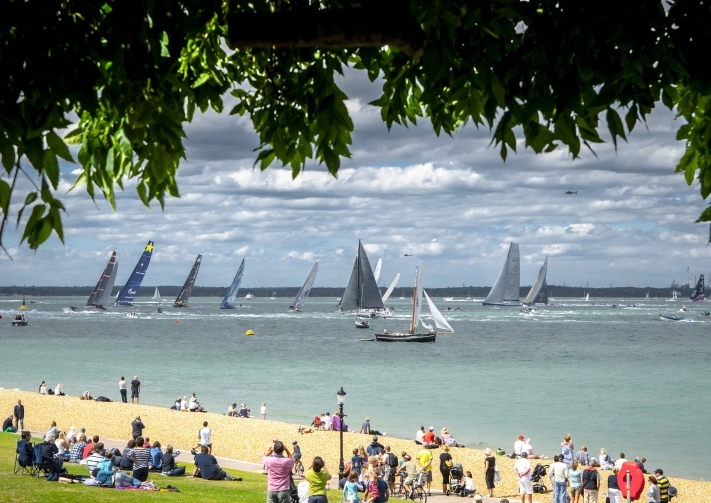 The best vantage points for the start will be along Cowes Green and Egypt Esplanade on the Isle of Wight. Spectators will also be able to listen to the live commentary on the speakers along Cowes Parade and The Green from Fastnet Radio. As the fleet funnels out of the Solent there will be a good chance to see the yachts from Yarmouth on the Isle of Wight and Hurst Castle on the mainland. Further along the coast Anvil Point, St Alban’s Head, and Portland Bill should also give a good view of the race on its outbound leg. 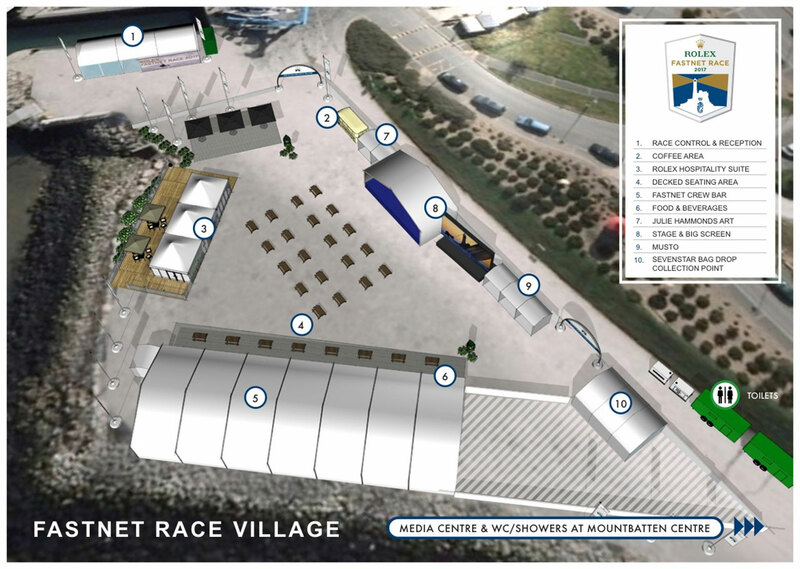 The Rolex Fastnet Race Village is the home of the RORC Finish Office and Media Centre, located next to the Plymouth Yacht Haven marina. The Race Village is open daily from 1000hrs onwards. Public Days and Pontoon access on Wednesday 7th and Thursday 8th August – please request hi-vis jackets from the security guard at the top of the ramp and he will explain the procedure and book you in for the dock walk.